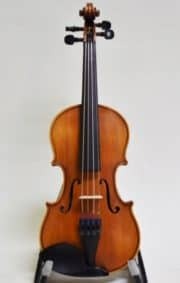 Pietro Lombardi Violin has a beautifully flamed maple back & a highly select spruce top. 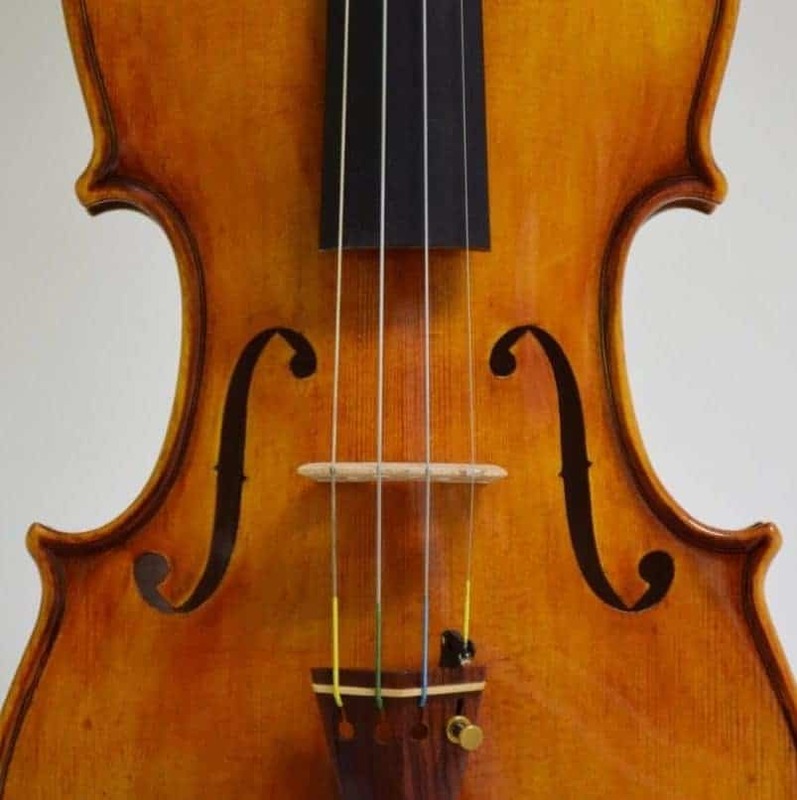 The amber colored spirit varnish is reminiscent of Italian makers. 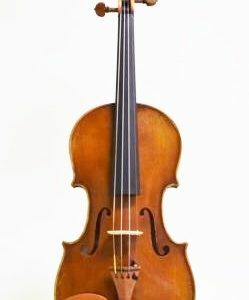 Pietro Lombardi Violin is a Guarneri copy. The Lombardi has a highly select spruce top, matched by a beautifully flamed maple back. 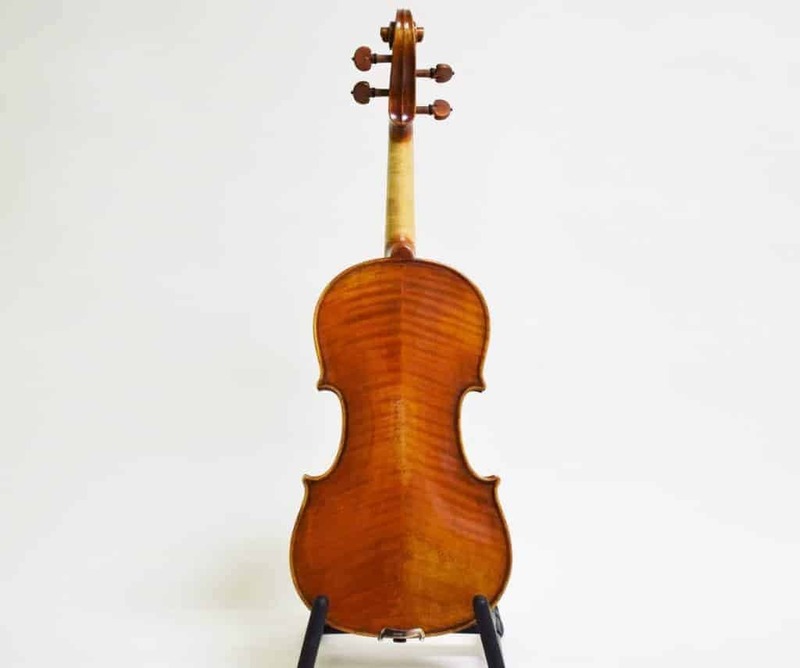 The wood is finished with a sophisticated amber colored spirit varnish. This color is reminiscent of Italian makers. It is set up with a Superieur Despiau France bridge. 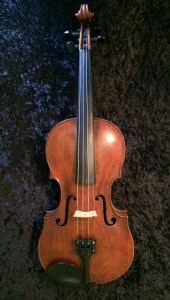 The Pietro Lombardi Violin is strung with Thomastik Infeld Dominant strings. 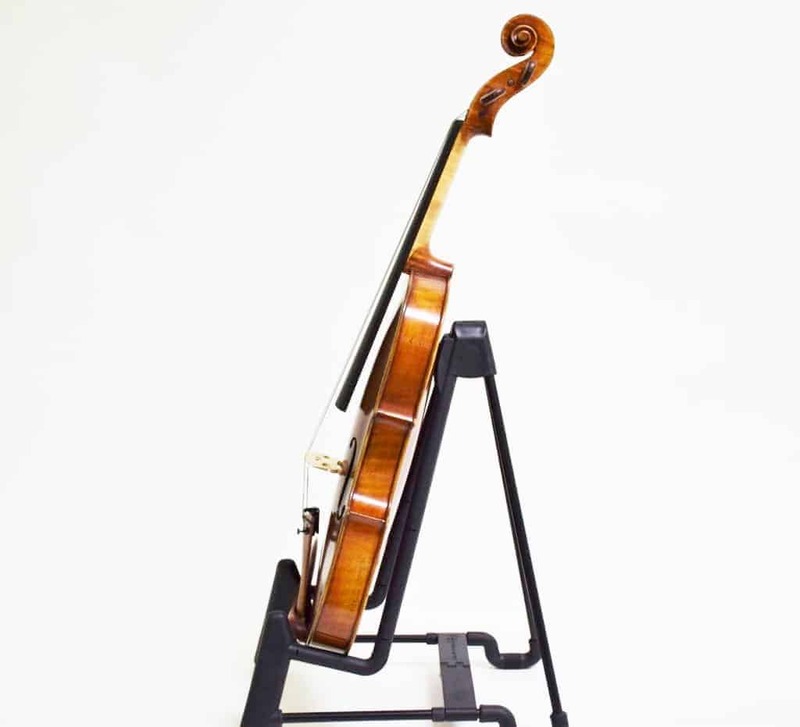 Dominants are a favorite and best seller among professionals and student violinists alike. Ebony fingerboard. 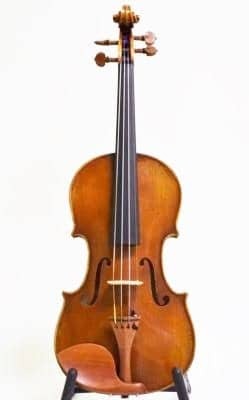 This violin has lovely boxwood fittings, which include the pegs, tailpiece, chin rest, and end button. The heart model pegs have black pins and collars. The hill style tailpiece matches with a black fret and black fine tuner for the E string.